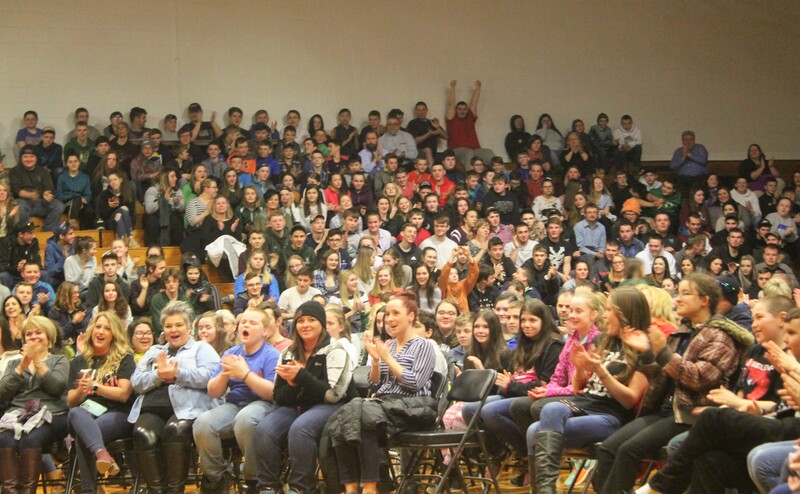 Adults and students alike cheered and shed tears during a presentation Monday by former WCW and WWE wrestling champion Marc Mero. 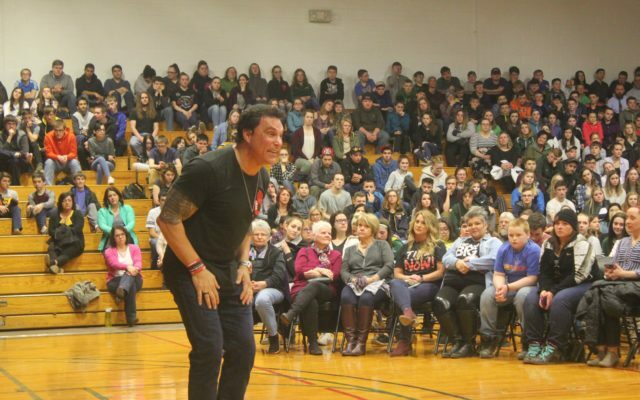 FORT KENT, Maine — Adults and students alike cheered and shed tears during a presentation Monday by former WCW and WWE wrestling champion Marc Mero. Now a motivational speaker, author and founder of the nonprofit organization Champion of Choices, Mero focused his address on the importance of good decision making to achieve true success in life, which he said is measured by our relationships with one another. Students from the three Valley Unified school administrative units were moved and inspired by speaker Marc Mero on Monday, April 1. 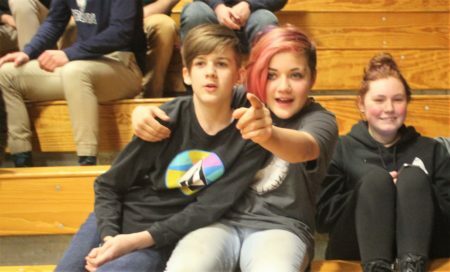 Approximately 700 Valley Unified learners from the school administrative units of SAD 27, SAD 33 and the Madawaska School Department attended the presentation at the University of Maine at Fort Kent Sport Center. Mero related some heartbreaking tales of regret over decisions he made which caused him to alienate those closest to him, including a younger brother and sister and his mother, all of whom died young before he had a chance to repair his relationships with them. He encouraged Valley Unified learners to surround themselves with positive people who make good decisions. To illustrate his point, he spoke about at one time preparing to enter the world of professional boxing, after having won multiple Golden Gloves boxing competitions in the state of New York. Just a week before his pro boxing debut, however, Mero shattered his nose in an accident, requiring extensive surgery and putting that dream on hold for one year. 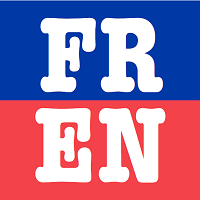 During that year, he became entangled with friends who abused alcohol and drugs and Mero said he ultimately lost 10 years of his life to addiction. “All that free time presented me with a lot of choices and I made a bad one,” he said. Mero also said he was bullied as a child and considered suicide during his life. He encouraged the students to reach out to someone if they feel threatened, depressed or suicidal. 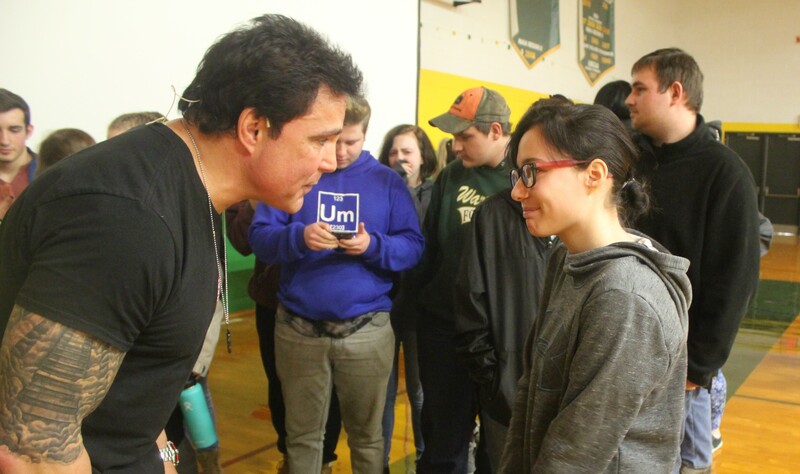 Fort Kent Community High School student Jasmine Hodgkin interacts with motivational speaker Marc Mero following a presentation at the University of Maine at Fort Kent Sport Center on Monday, April 1. Mero said he lost 30 friends to bad decisions including to drug overdoses, murder and suicide. “It’s a list I should have been on,” he said. Lizotte’s cousin, Ian Michaud, an eighth-grader at Madawaska Middle/High School said he also was moved by Mero’s talk. Following the presentation, Mero met with students who lined up to speak with him. Among those students was Fort Kent 10th grader Jasmine Hodgkin, who said she could relate to Mero because she is still grieving the loss of her brother, Anthony Hodgkin, who passed away when he was just 8 years old and she was 6. Cousins Ian Michaud (left) and Olivia Lizotte (center) of Madawaska Middle/High School spotted professional wrestling champion and motivation speaker Marc Mero prior to Mero’s presentation at the University of Maine at Fort Kent Sport Center. Pictured at right is Alexis Tardie of Valley Rivers Middle School. Life By Design organized Mero’s visit, which the Valley Unified Regional Service Center and a variety of local businesses helped to sponsor. For more information about Marc Mero and his message visit his website or Facebook page.